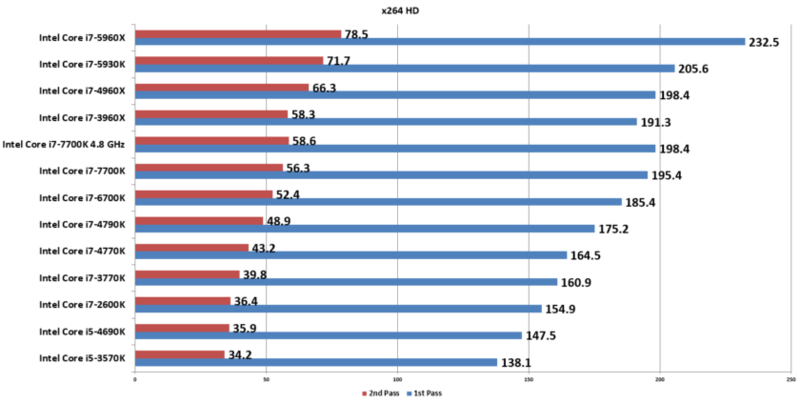 This benchmark measures the encoding performance of the processor. It offers a standardized benchmark as the clip as well as the encoder used is uniform. 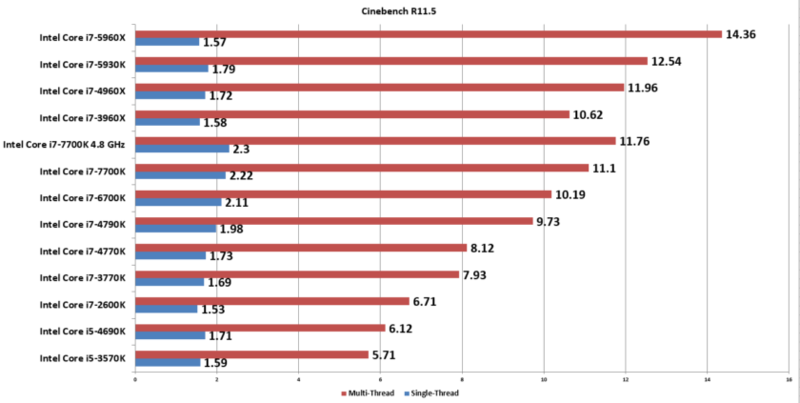 CINEBENCH is a real-world cross platform test suite that evaluates your computer’s performance capabilities. CINEBENCH is based on MAXON’s award-winning animation software CINEMA 4D, which is used extensively by studios and production houses worldwide for 3D content creation. MAXON software has been used in blockbuster movies such as Iron Man 3, Oblivion, Life of Pi or Prometheus and many more. Cinebench is based on Maxon’s Cinema 4D. It is used to compare graphics as well as processor performance. We are using the CPU performance numbers for our comparison. 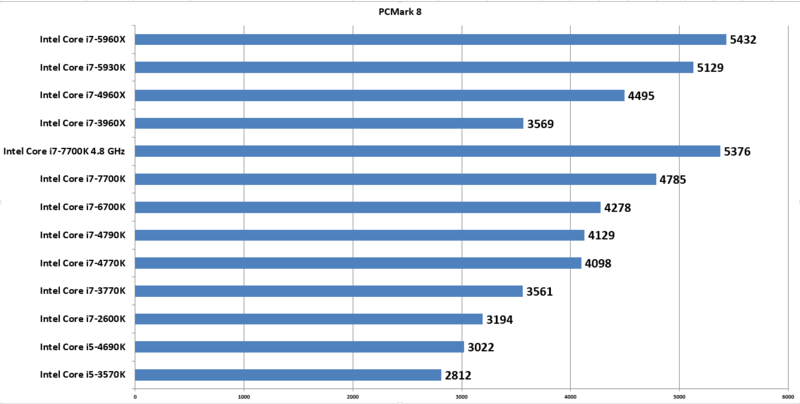 PCMark 8 is a complete PC benchmarking solution for Windows 10. It includes several tests that combine individual workloads covering storage, computation, image and video manipulation, web browsing and gaming. Specifically designed for the full range of PC hardware from netbooks and tablets to notebooks and desktops, PCMark 8 offers complete Windows PC performance testing for home and business use. The POV-Ray package includes detailed instructions on using the ray-tracer and creating scenes. Many stunning scenes are included with POV-Ray so you can start creating images immediately when you get the package. DMark 11 makes extensive use of all the new features in DirectX 11 including tessellation, compute shaders and multi-threading. It was released on December 7, 2010. 3DMark 11 includes four Graphics tests – Deep Sea 1 & 2, High Temple 1 & 2 – for measuring GPU performance, a Physics test measuring CPU performance, and a Combined test targeting CPU and GPU performance. 3DMark Vantage is a DirectX 10 video card benchmark test for Windows that is designed to measure your PC’s gaming performance. 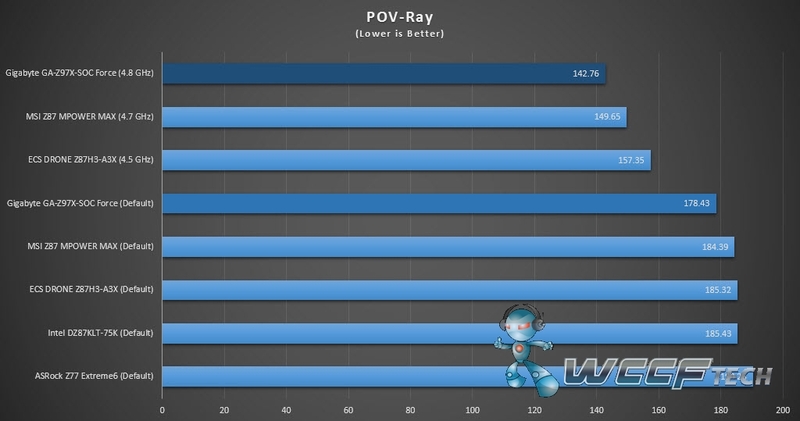 While the overall benchmark is great, the utility also provides a good indication of the CPU performance. WinRAR is a powerful archive manager. It can backup your data and reduce the size of email attachments, decompress RAR, ZIP and other files downloaded from Internet and create new archives in RAR and ZIP file format. Super PI is used by many overclockers to test the performance and stability of their computers. In the overclocking community, the standard program provides a benchmark for enthusiasts to compare “world record” pi calculation times and demonstrate their overclocking abilities. The program can also be used to test the stability of a certain overclock speed.